Daniel has extensive expertise in all aspects of administrative law. 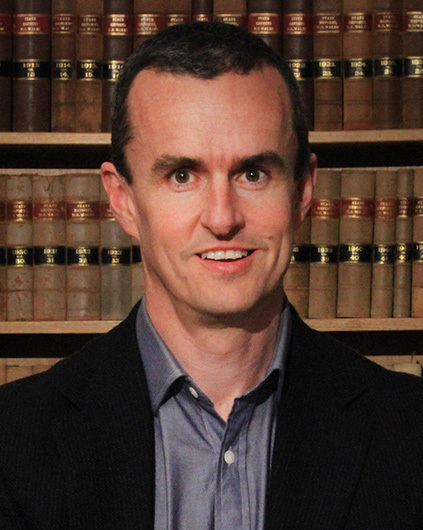 A senior lecturer at the ANU College of Law, Daniel’s administrative law expertise spans the scope and nature of judicial review, the role, interpretation and drafting of legislation, and the use and disclosure of government information. Daniel teaches as number of advanced and specialised courses on these areas including a postgraduate course on statutory interpretation. His course on information law focuses on secrecy, privacy and access to government information. Daniel is the independent Research Monitor for Australia as part of the international Open Government Partnership, reporting on developments relating to access to information in Australian Commonwealth, State and Territory Governments. Daniel has authored leading publications on administrative law and delivered numerous papers on topics including the role of policy in administrative decision-making. His most recent publications include a chapter on ‘Assessing Access to Information in Australia: The impact of freedom of information laws on the scrutiny and operation of the Commonwealth Government’ in recent ANU E-Press monograph, and a chapter examining the role and scrutiny of delegated legislation in a monograph in tribute to Dennis Pearce which he co-edited. Daniel is the legal advisor for Bills for the ACT Legislative Assembly Standing Committee on Justice and Community Safety (Legislative Scrutiny Role). He also acts as a consultant to HWL Ebsworth solicitors. He regularly advises and acts for a variety of government departments on matters involving statutory interpretation and merits and judicial review. He conducts various seminars, workshops and training courses addressing legal issues in regulatory design and compliance, decision-making and statements of reasons, statutory interpretation, FOI and Privacy and merits and judicial review. A leading administrative law conference will be held at the National Museum of Australia on Friday, 28 October 2016. The Public Law Weekend, run by the Centre for International and Public Law, is one of Australia’s preeminent public law conferences. ANU College of Law Senior Lecturer Daniel Stewart has published and presented papers in a wide variety of public law areas, focusing on the public / private distinction in public law. His work has drawn on varied elements of public and private law in an attempt to understand the role of judicial review in enforcing the legal limits of government. Many of his publications draw together some of the more uncertain and emerging issues confronting administrative and constitutional law. Daniel has also explored the use and disclosure of information and its role in public and private governance. He has recently published on the history of FOI and its impact on public policy in Australia. The value of this work was recognised in his appointmentas an Independent Reporting Mechanism researcher for the Open Government Partnership. He has also given various papers and presentations on this topic as well as submissions to parliamentary inquiries. Daniel has previously participated in various projects relating to Intellectual Property. He has helped organise a number of significantconferences, including the 2014 Public Law Weekend in honour of Emeritus Professor Dennis Pearce.